Welcome to the new generation of iPads. If the computer were invented today, what would it look like? It would be powerful enough for any task. So mobile you could take it everywhere. And so intuitive you could use it any way you wanted - with touch, a keyboard or even a pencil. In other words, it wouldn't really be a "computer." It would be the new iPad. AppleCare+ for iPad extends your repair coverage and technical support to two years from the original purchase date of your iPad. And it adds coverage for up to two incidents of accidental damage from handling, each subject to a $49.00 service fee plus applicable tax. * In addition, you’ll get 24/7 priority access to Apple experts via chat or phone. 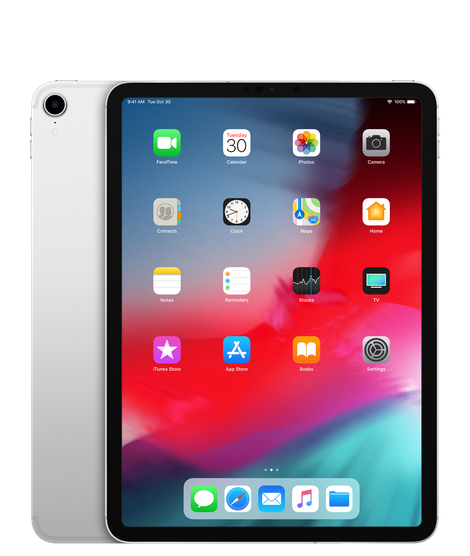 *Service coverage is available only for iPad and its original included accessories that are defective in materials or workmanship or for batteries that retain less than 80 percent of their original capacity. The replacement equipment that Apple provides as part of the repair or replacement service may be new or equivalent to new in both performance and reliability. AirPort devices must be purchased up to two years before your iPad purchase or during the term of your AppleCare+ coverage.